Kathy Ahoy knows a good project when she sees one. With decades of public health nursing experience under her belt, she has a unique ability to identify individuals and organizations working at the grassroots level to incite change. Because of this, we selected Kathy to be a PVF Ambassador, providing her with $10,000 to fund important grassroots initiatives on behalf of PVF. It was through Kathy and her ambassadorship that we were introduced to the New Roots MicroProducer Academy, a project of the International Rescue Committee. 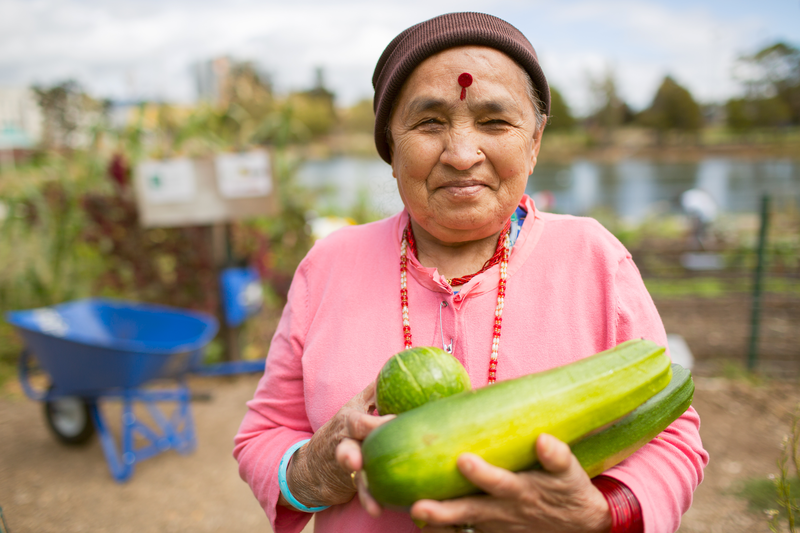 The project works with resettled refugees to become farmers in their new communities. 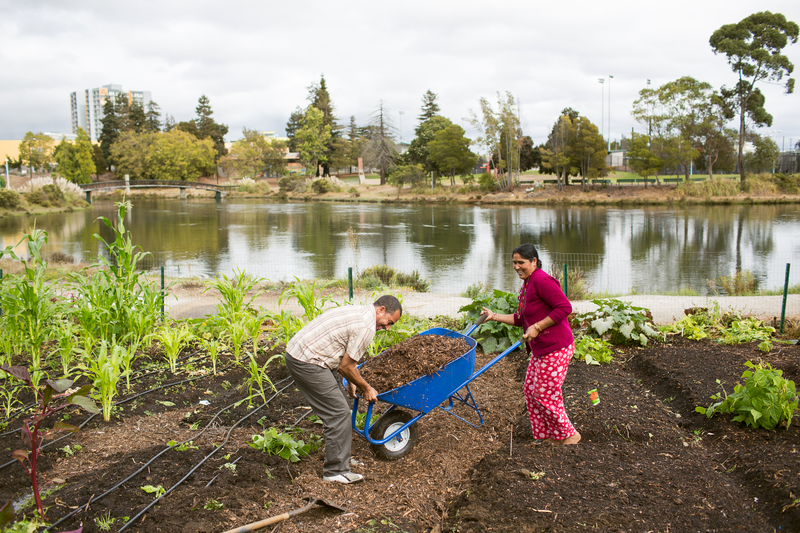 In Oakland, the New Roots training garden is located at Laney College, where refugees learn farming skills and how to sell produce. Participants can choose to graduate to the Pinole Farm, where they produce food at a larger level to feed the community. The New Roots project creates a bridge between resettled refugees and the local community through collaboration. For example, Laney horticulture students work side-by-side with New Roots participants to gain skills, and vegetables harvested at the community garden are given to Laney culinary students to practice their cooking skills. Having worked with many immigrants during her career as a public health nurse, Kathy often observed how quickly a person’s health can plummet upon arriving in the U.S. The New Roots garden addresses this issue by promoting healthy eating among resettled refugees while also creating livelihood opportunities and forging a sense of community. It is for these reasons that Kathy elected to fund supplies for the project on behalf of PVF, in turn helping the New Roots garden and its gardeners thrive. This entry was posted in Uncategorized and tagged ambassador, gardening, immigrants, Oakland, refugees. Bookmark the permalink.